A great resource for finding agricultural jobs is AgCareers.com. Jessica Bartow is the new talent solution specialist with AgCareers.com, and recruiting and retaining employees in the agricultural field is what they are focused on. "The ag industry is incredible because you give food to the world we provide for their needs, and so to be able to help employers that are doing that is quite an honor," Bartow said. Bartow also works closely with the universities to help get students internships. They provide a lot of internships through their website. AgCareers.com helps provide employment to job seekers along with helping employers as they are looking for talent. 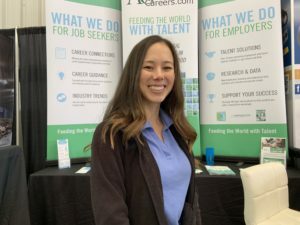 “It is a job seekers market right now, so our employers are looking for candidates that have experience in the ag industry that want to go into the ag industry,” Bartow said. Information is available for all types of job opportunities on AgCareers.com. There are a lot of resources to help place interested job seekers considering agriculture as a career. Job seekers and employers are encouraged to go to AgCareers.com to look at the resources available. “We can search for whatever job it is and whatever field location. It is an awesome resource. I definitely recommend it,” Bartow said.